Intent: For Hawaiians, plants are resources for medicines, food, baskets, cordage, bowls, canoes, bark cloth, and ritual objects. But plants are also the physical manifestation (Kinolau) of the many different gods who inhabit daily life. 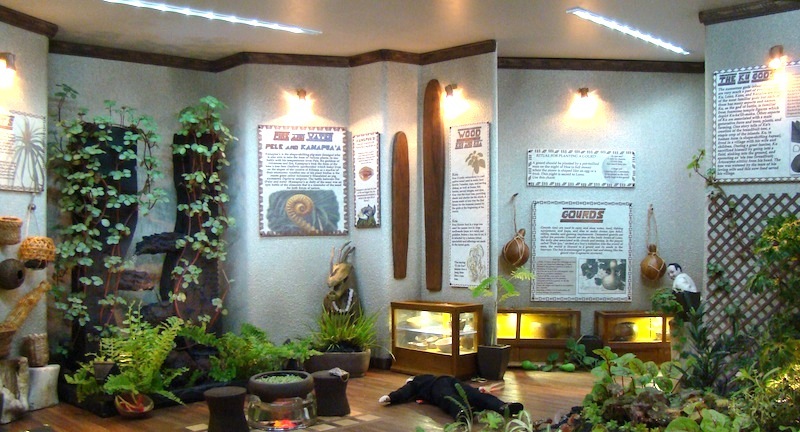 When Kapu (Tabu) is violated in this museum, should the famous Honolulu detective take the case? Judges comments: Exquisite plant material. Very imaginative. Love the music! Tilted cabinet a slight distraction.